Bracken – Why it has become so prolific. Bracken is a most resourceful species and has learnt to adapt to a variety of circumstances and climate changes throughout the many millions of years of its existence. In recent times this plant has become more prolific, aggressive and extensive. Bracken growth is typified by the thick green canopy of foliage made up of long pointed fronds growing upon a substantial stem structure. Currently, this growth can be as tall as 8 feet or more if support is available, although a height range of 3 – 6 feet is more usual. As can be seen in this photo, the bracken is already as tall as, or taller than the field boundary stone wall. increase in acid rain induced soil acidification (particularly in the high rainfall upland regions). The latter was brought about by industrial pollution between the mid 19th century and mid 20th century. Bracken will thrive in most soils that provide sufficient depth and fertility (even in the most acid of soils). Although some other species such as heather and bilberry can cope with acid soils and, if well managed, can compete to a certain extent against bracken, many, if not most, other species do not, and become weakened and then engulfed by the invading bracken. The most important factor of all is thought to be that of the ongoing matter of climate change/global warming. Although we do have some rather chilly and very wet summers, the average ambient temperature is nevertheless on the increase. This is particularly noticeable in regard to our winters, which in most years are being subject to fewer and less intense frost periods. Up to a point some 50 years or so ago, Britain used to suffer many lengthy and intensely cold periods each winter, and these destroyed significant numbers of the over-wintering axial buds growing along the bracken root (A.S. Watt 1950 and Pakeman 1994). Few of our recent winters have long enough frost episodes to cause this type of damage; this in turn allows most of the bracken root buds to survive the winter relatively unscathed. Historically, bracken’s natural habitat was within and around the periphery of old woodland areas. When given the opportunity, however, being a sun loving plant bracken will invade most land but particularly those areas cleared of woodland (by felling or fire). Bracken demonstrates its invasive qualities by mass infestation of much valuable grazing pasture to the detriment of the viability of livestock farms. It is equally attracted to heather moor and heathland to the detriment of grouse as well as many other desirable species. Bracken spreads partly by exuding clouds of fine spores during the July – September period in certain years (rarely more frequently than once in 3 or 4 years). These are carried by the wind and serve to start new colonies elsewhere. The main means of spread, however, is by the production of a lengthy underground root structure, (classed as ‘rhizomes’). These rhizomes can be quite long (some have been recorded as being in excess of 300 metres) but are normally around 10 – 30 metres. They serve as both a food (carbohydrate) store and also a means of reproduction in that along the rhizomes are formed what are referred to as ‘axial buds’. Most of these buds produce each new year’s growth. 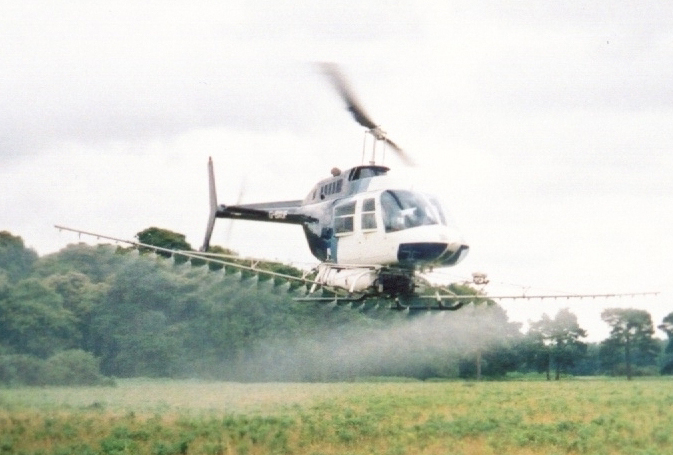 (These buds are the target of the systemic herbicide Asulox.) 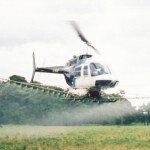 However, some of these are thought to lie dormant and do not take in the chemical that has been sprayed on the mature foliage growing up above. Unfortunately, these surviving buds tend to “spring” into life in the year/s following, and it is this ability that can make complete bracken eradication a rather more drawn out affair than it might otherwise be. 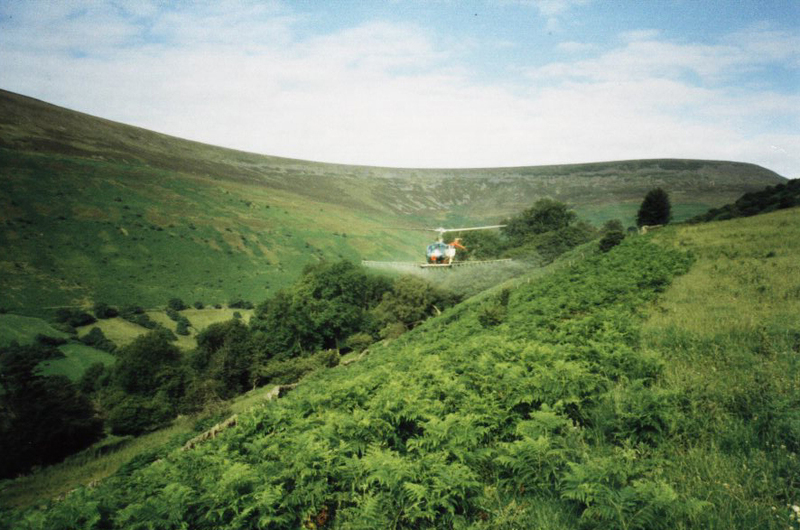 Although (initially) the resulting new plants are usually few in number, one of the most important follow-up procedures is to “spot spray” these (if 100% bracken control is to be achieved), as “survivors” tend to double up year on year. When left to itself, after the initial encroachment, bracken will usually consolidate its hold on the land until it achieves total dominance at the expense of all other plant life. Initially, in the first 20 – 30 years or so, it appears to be living in harmony with other species; often a mixture of grasses and flowers (such as violets, orchids and bluebells) will seem to co-exist. Gradually, though, bracken tightens its grip and out-competes most other species by a number of means. The typical dense canopy of fronds effectively deprives the other plants of sunlight and the plant competes for soil nutrients whilst developing a thick litter layer or matt at the soil surface; this in turn prevents seedlings of other plants germinating. Bracken is also understood to release a variety of toxic (teratogenic and carcinogenic) substances into the soil. These arise partly from the decay of the previous season’s foliage, but also from root exudations. The resultant alleopathic effect that this has on any other plant species usually spells the end for them (Whitehead, 1964; Gleisman and Muller 1977) Eventually even the tough old bluebells succumb leaving nothing but a monoculture of dense bracken.